In 1980, following her term as president of Wells College in Aurora, New York, Sissy Farenthold returned to Houston, which she had made her home base after she left the legislature in 1973. Her return to Houston marked another milestone in her political career: Farenthold began to advocate for women on the world stage and to connect her global and local work for social justice. In 1979, while still at Wells, she had joined the Helsinki Watch Committee, the precursor to Human Rights Watch, and later served on the board. Helsinki Watch was among the most influential groups of its time devoted to monitoring the 1975 Helsinki Accords, a set of principles designed to improve relations between the West and the Communist bloc during the Cold War. The accords included human rights protections. Helsinki Watch is praised for elevating activism on behalf of international human rights. In the years to come, Farenthold would serve as chair of the boards of two institutions concerned with issues of peace, human rights, and social justice: the Rothko Chapel in Houston and the Institute for Policy Studies (IPS) in Washington, D.C. In the early 1980s, Farenthold and her cousin Genevieve Vaughan began a decade-long partnership to promote what Farenthold later termed “women’s search for peace.” Farenthold participated in several peace camps in both Europe and the United States that had been established by women to protest nuclear missile bases. In 1985, Farenthold and Vaughan helped organize the Nairobi Peace Tent at the NGO Forum in Nairobi, Kenya, held in conjunction with the third U.N. World Conference on Women. Shortly thereafter, they became founding members of Women for a Meaningful Summit, originally begun as an ad hoc coalition of female leaders calling for nuclear disarmament at the Reagan-Gorbachev summits. She traveled frequently to Central America, becoming a staunch advocate for those suffering human rights abuses, often by U.S.-backed regimes. Back in Houston, she began to meet refugees from El Salvador through her law firm. Informed by her work with the Institute for Policy Studies and other non-profit organizations with which she had worked, she championed efforts to help Central Americans in Houston who had fled dictatorships at home. Farenthold also became active in the anti-apartheid movement in Houston. The height of her anti-apartheid activism came in February of 1985, when she was arrested for criminal trespassing at the South African consulate in Houston after she refused to leave her meeting with the consul. 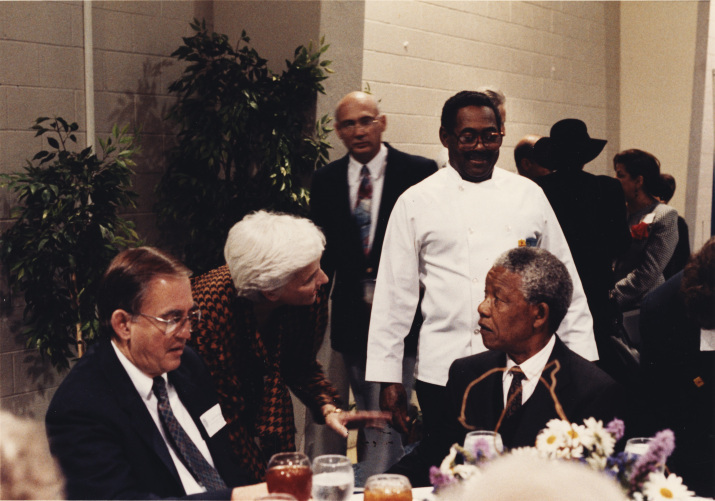 In 1991, Farenthold had the honor of participating in the Rothko Chapel Human Rights Award news conference featuring Nelson Mandela and former President Jimmy Carter. In 2013, she delivered reflections at the Rothko Chapel’s memorial service for Mandela, South Africa’s first black president. Though she continues to travel abroad on behalf of human rights, Farenthold works for human rights and justice in Houston. She has campaigned against the death penalty for more than 20 years and has supported the fight for economic rights for poor and low-wage workers. 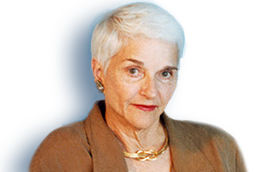 Interview with Sissy Farenthold and Marcus Raskin, October 10, 2013.